The famous St. Basil's Cathedral was built bewteen 1555 and 1561 by Ivan the Terrible in honor of the capture of the Kazan Khanate, part of the former Golden Horde. 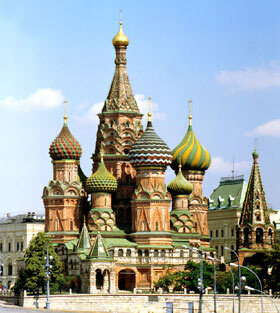 It stands on the edge of Red Square (Moscow) .